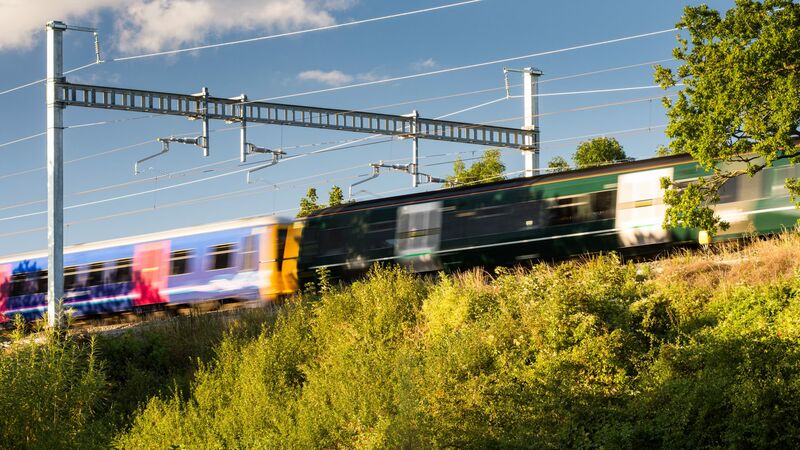 Balfour Beatty has been awarded a contract by Network Rail to electrify the Great Western main line (GWML) between Bristol Parkway and Cardiff. The 40-mile section of main line will be the last section to be electrified as part of the route upgrade. Wires were to be installed all the way to Swansea but the government dropped the South Wales portion of the scheme last month. Balfour Beatty will electrify the remaining sections of the route (6P, 8 and 9) between Bristol Parkway and Cardiff. ABC, a joint venture between Alstom, Babcock Rail and Costain, had been the contractor for the route before the contract ended in April in this year. Issues relating to the design and delivery of the GWML electrification have resulted in the project running late and over budget. This has been noted in several reviews, including one carried out by Network Rail chairman Sir Peter Hendy. Balfour Beatty said it will start on the final sections of the route this month and plans to complete the works by the end of next year. Correction: The line will be electrified from Bristol Parkway to Cardiff not from Bath Spa and certainly not from Bath Parkway. No, not “Bath Parkway”. Bath doesn’t have a Parkway station – try Bristol Parkway instead. Good. But what about electrifying to Bristol Parkway and Bristol Temple Meads so that GWR’s IET’s can change power from electric to diesel to carry on its usual journey to Exeter St. Davids and down to Cornwall. I would like to see the wires to be extended form Newbury to Taunton so that Class 802s can change to electric or diesel power at Taunton station and for Bedwyn services commuter Class 387s instead of Intercity Class 802s. What about plans to electrify the Midland Main Line (North of Bedford) to Nottingham, Derby, Leicester, Kettering, Corby and Sheffield and possibly extend the MML electrification to Leeds. I guarantee that it could be given the go ahead next year. You could not guarantee any such thing. For a start Derby station area is to be rebuilt first, in a major scheme. Secondly, the Govt does not believe it is either necessary or affordable, at least beyond Kettering. The industry has to work within what is possible and practical, and here Govt is the problem. Also Network Rail’s electrification costs and standards, and ORR’s electrification clearance requirements. Without these being resolved, wave goodbye to significant electrification extensions in future.